Privacy is a rare commodity nowadays. What with Facebook making it increasingly difficult to manage who sees what, and even the ephemeral SnapChat being revealed to not be all that ephemeral. A recent study by Fast Web Media has yielded some interesting insights into multi-screening trends in the UK. The report looks at 50 different UK brands and analyses their most recent 2013 TV adverts to see who is encouraging multi-screening. One ad per brand was watched and inclusions of URLs and/or any reference to social networks was recorded. 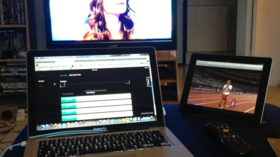 What is multi-screening? You can be said to be multi-screening when you are using more than one device (screen) at the same time. For example, if you’re watching a live sports event on TV and you’re checking Twitter at the same time (like I was last weekend) then you are multi-screening. I blogged a while back offering five simple suggestions to optimise Tweets. As it went down well I thought it worthwhile expanding on this and giving my insight on growing a follower base and increasing engagement. Twitter is a fantastic platform that allows you to interact with like-minded people. I’ve learnt a lot from fellow digital marketers on Twitter by joining conversations and reading their content. Along the way I’ve picked up a fairly substantial set of tips, tricks and hints on how to make the most of Twitter and build your presence there. Anyway, enough waffle, you came here wanting tips so let’s get to it. Fiverr.com is a US website that allows sellers to post services they offer for a fixed price of $5. Sellers post “gigs” on Fiverr that visitors can search for, order, and pay for using PayPal. There’s a wide variety of “gigs” on Fiverr including sellers offering illustrations, flyers, Facebook pages, optimised landing pages, comedy voicemails and even financial consulting. Sellers have ratings and reviews to help you understand the quality of the work offered, you can also browse previous examples of work for further reassurance. Surely though the motto “you get what you pay for” comes to mind and this is exactly what I thought. If you’re going to pay $5 (£3.46 at today’s exchange rate) you’re not exactly going to get a seller who is overly enthusiastic to design you a fantastic logo. Or are you? Why don’t all PR firms offer SEO services? The obvious answer a PR firm will give is “because we’re a PR firm” but seriously, do PR people understand how much impact their hard work has on their client’s search rankings? Do they realise SEO is a £500m market in the UK? This article aims to flesh out the opportunity for PR firms willing to innovate and offer a service that mixes the expertise of SEO and PR; for my sins, I refer to this service as search optimised PR (SOPR).